Working away from the office location is fast becoming a widespread way of working. It can have numerous benefits for employees, but can also present an additional security risk to your organisation. For example, managing the risk posed by use of all types of mobile devices should be included in your risk management approach, along with appropriate mitigation measures. You need to ensure you provide employees with appropriate advice and training on the secure use of mobile devices (including remote working where the device connects to the corporate network). Is there clear and accessible guidance on the use of mobile devices, particularly those that connect to the corporate network? What policies does your organisation have in place for use of personal smartphones or tablets to remotely connect to your organisation’s systems? 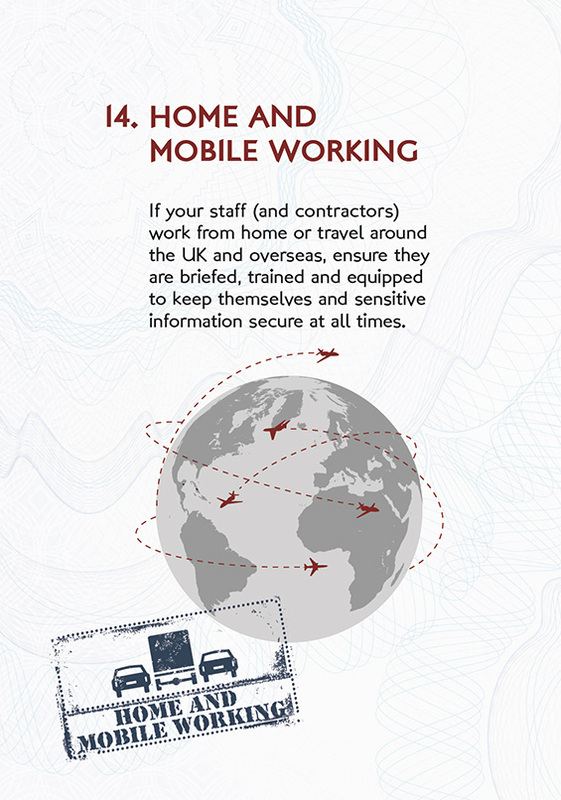 Is there security advice (and training) for employees who travel within the UK and overseas? Mobile devices - best practice security for a range of mobile devices.